Hello friends! I hope you are enjoying Plaid Week! Today’s pattern is a no-brainer. 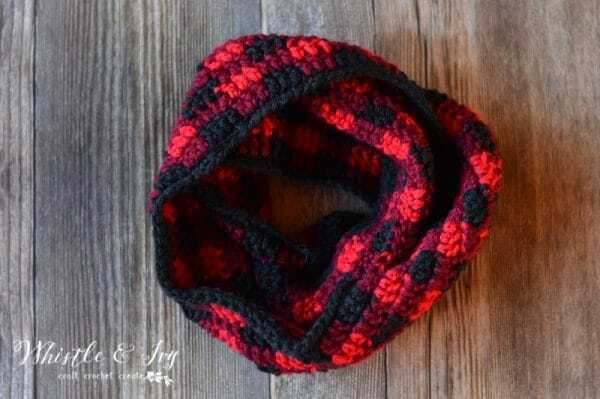 Even before I thought of doing a whole week of plaid, I knew I needed to make a crochet plaid infinity scarf. After a few sizing adjustments, I got a length and width that I absolutely love. This pattern is easy to change if you prefer your scarves longer or thicker. To make it longer, add extra chains to the foundation in multiples of 6, and to make it wider, work extra rounds. Ch 144. Taking care not the twist your ch, sl st with first ch, making a large loop. 1. Ch 1. Sc in each st around. Join with sl st.
11. Using you dark only, ch 1. Sc in each st around. Join with sl st (144 sts). So easy! 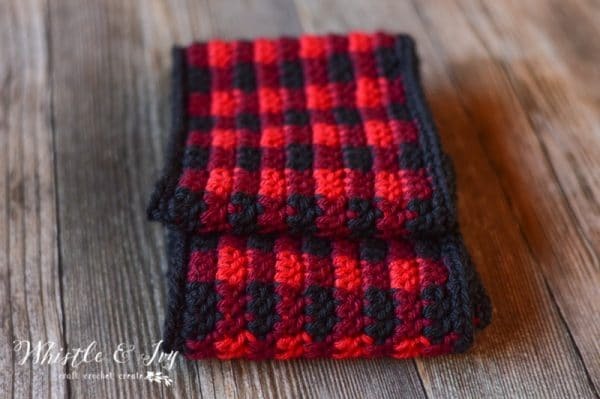 This crochet plaid scarf is so fun to make and so comfy to wear. You need one in every color! 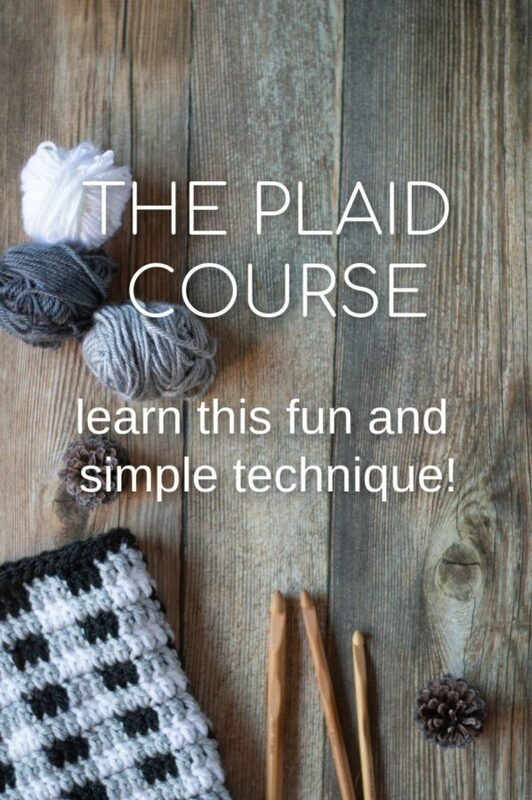 I can’t make use of the video for the plaid stitch tutorial at home. Is there a print version of it I can PDF and send to my Kindle? Thanks. 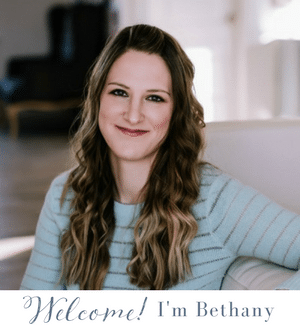 Bethany, do you have a step by step video of making the plaid infinity scarf? I don’t, can you help you figure something out? I need a pattern with this design for a Christmas stocking. 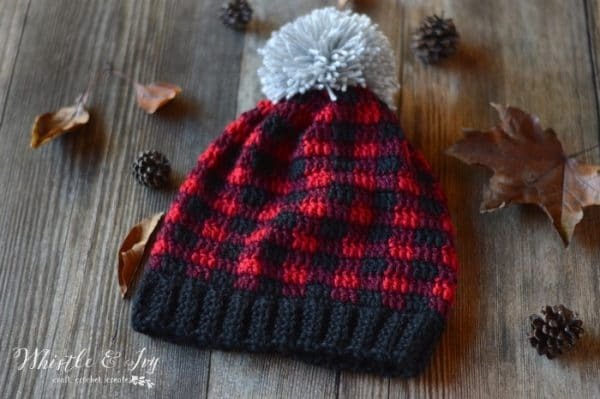 Already made your hat and love the pattern!! 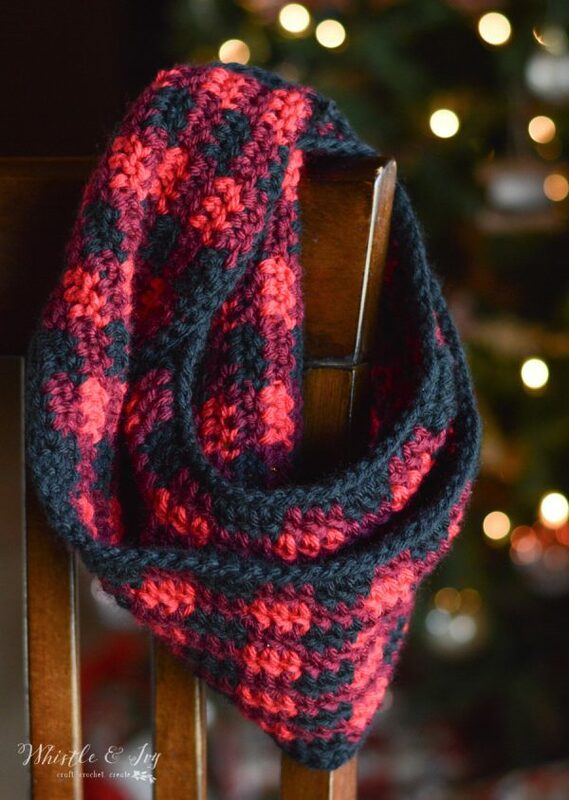 Just finished this scarf and matching hat…Wonderful pattern and so easy! Thank you for giving it to us for free. It’s going to make a fantastic gift. Love all the plaid patterns. Thank you! I am starting the cowl today but it doesn’t say if single crochet or double crochet stitches. (?) From the complete scarf picture you posted, it looks like single crochet but thought I would check before moving forward. Thanks! 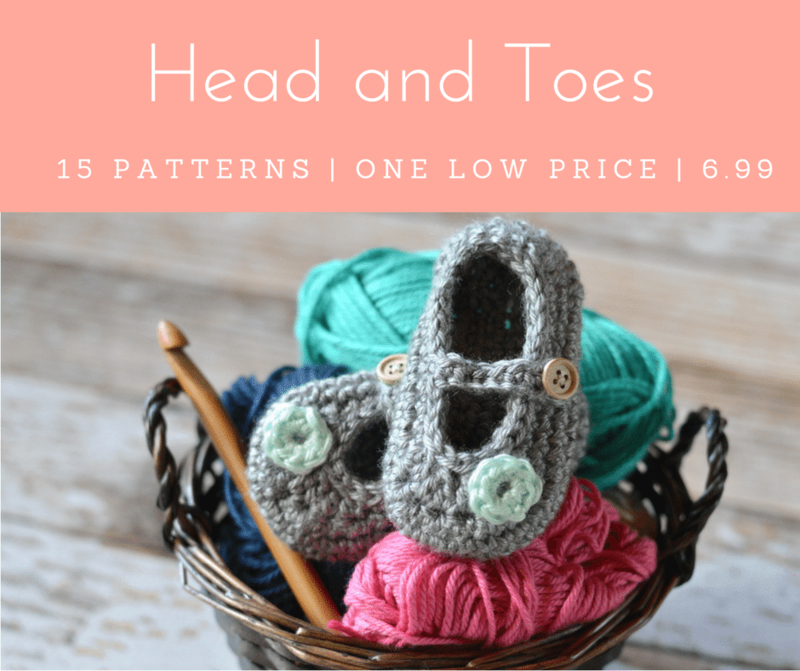 The plaid stitch is worked with a Double crochet. 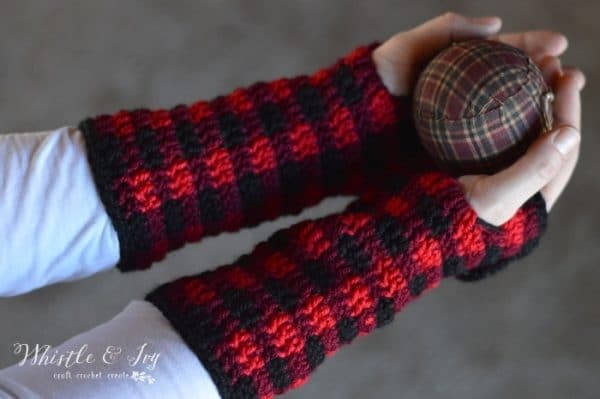 Thank you so much for the free pattern! How the pattern is written right now it does look like it’s worked in single crochet. DC isn’t mentioned in the pattern just in the abbreviation terms. Your youtube video is very helpful. Hi megan! 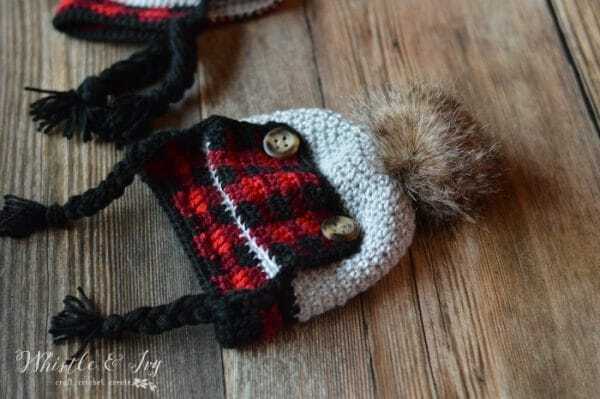 The plaid stitch is worked using double crochet stitches. Absolutely love this!!! Thank you so much for sharing! I actually think I am going to work this into a baby blanket for my brothers family. The video was so helpful too! Thank you! You are welcome :) :) That would be so cute! This is gorgeous! 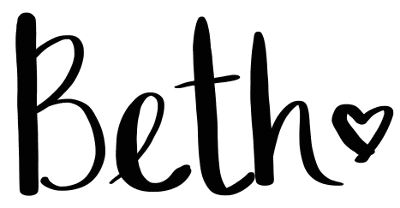 I was wondering if you could do the single crochet foundation chain at the beginning? Thank you! Possibly. I haven’t tried it, so I can’t say for sure, but let me know how it goes! Where do I buy this yarn? The link is in the materials list. I wouldn’t be able to give you specifics. Just make a chain that is long enough to be comfortable as a infinity scarf, and then work a few extra until your chain is a multiple of 6. 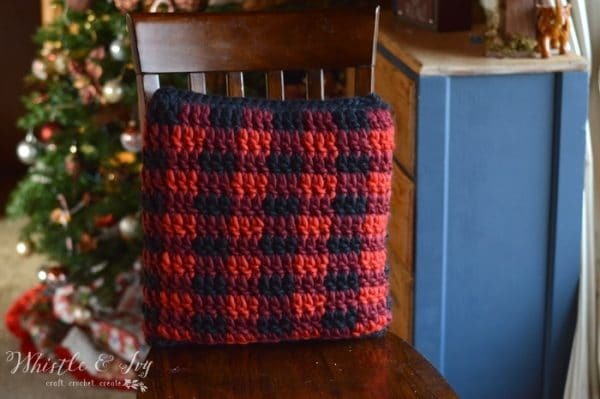 Is there a written pattern for the plaid stitch somewhere vs having to watch the video? Could the scarfs be done in worsted weight rather than bulk yarn? Yes! You would need to adjust the stitch counts it you want it the same length and width. Any suggestions on what the stitch counts should be adjusted to if using worsted weight yarn? Yep! You want your foundation to be in multiples of 6 (or multiples of 6 minus 1 for the “new join” method. Great, thank you for the suggestion. I cant wait to give this a try! I’m dying here. =) No time to make them. I definitely will, tho. I just love it. I’m going to make mine just a regular scarf, rather than the infinity. I’m sure it will be just as cute!!! I CANNOT wait to try this! Thank you so much for the lovely pattern. 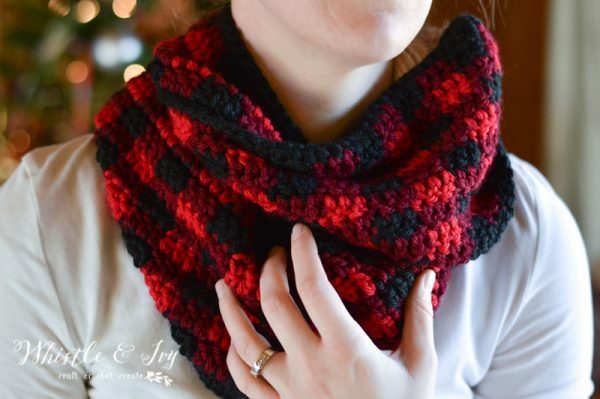 For the cowl, do you carry the red and black up as you work, or do you end them and join them again? I just drop it at the seam and pick it up when I use it the next row. I am LOVING these plaid patterns! Thank you so much. So glad! You are so welcome! Thanks for the pattern. I love all these plaid patterns! Yay, Thanks! You are very welcome! Thank you! You are welcome, I think it’s something that really needs a visual!